In the current climate, where Washington and Colorado recently legalized recreational marijuana, there is a clamor to see which state will be next. Many have their sights set on freeing up pot, but advocates and supporting lawmakers alike are cautious as such legislation won’t be popular with everyone. Still, Pennsylvania State Senator Daylin Leach (D-17) has taken an assertive step forward, introducing a bill that would make his state next in line. The “Regulate Marijuana Act” (SB 528) would legalize, regulate, and tax marijuana similarly to alcohol. 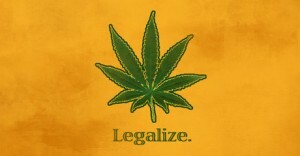 It would give people 21 and older the ability to grow, produce, and possess marijuana for personal use. It would also grant the Pennsylvania Liquor Control Board (PLCB) the power to regulate pot, taxing it and determining the rules for marijuana sale, growth, and possession. Legalization wouldn’t just be a positive move for marijuana smokers, but for the entire state, providing revenue and reducing the burden on the criminal justice system. “Keep in mind, prohibition is a policy that we enacted 75 years ago, because of the economic concerns. Not because of health issues,” said Leach. “We’re destroying lives, we’re taking people putting them in jail. Giving them a criminal record, threatening with separation from families, money they have to spend on lawyers and fines,” he added describing just a fraction of the burden that pot prohibition brings to the table. Leach’s bill faces an uphill battle. Support for legalization in PA isn’t as high as elsewhere in the country. Also, Governor Corbett has been a vocal opponent of marijuana legalization and has said he would veto any such bill that came across his desk. In addition to allowing possession, the bill would allow citizens to grow and process up to six plants. It would grant the PLCB the power to import marijuana and related marijuana products and to fix wholesale and retail prices while controlling retail stores where marijuana would be sold. Security, licensing, pricing, and taxation determinations would be made by the PLCB as well. Several states are eyeing legalization measures. But many that depend on voters rather than lawmakers are waiting until 2016, the next presidential year. There’s no doubt that PA has legalization supporters—every state does—but it remains to be seen if any of those supporters are elected officials. If you are a marijuana supporter, however, you can let your elected officials know that you want marijuana legalized in the state of Pennsylvania. In the meantime, if you are arrested and accused of a marijuana offense, you may need the assistance of a local defense attorney. Contact us today to discuss your case and how we might be able to help.